We are actively engaged in offering an extensive range of Plastic Zipper Bags for our prestigious clients. Our offered bags find their wide usage in meeting the packaging needs in different food grade products. Our adept professionals make use of progressive technology and quality approved raw material to increase usability of our offered bags. 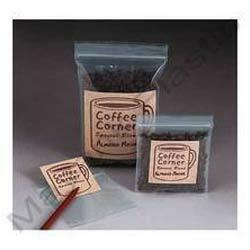 Moreover, these bags are designed with reusable zips that provide complete safety to the packed products from moisture. We also offer these bags in customized colors, sizes and designs.